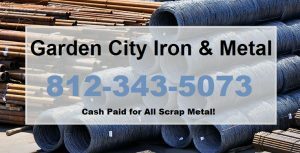 ← Call Garden City Iron & Metal to Sell Old Metal Junk for Cash on the Spot! Continue reading to learn more about white rust, including what causes it to form and how it can be prevented. White rust is a white, chalky film that can develop on the surfaces of zinc alloys and zinc-coated materials, commonly galvanized steel. In fact, it is a prevalent problem in the galvanized steel industries. It basically looks like a cloudy layer or dry, milky-looking substance on metal. What Causes White Rust Formation? When zinc is exposed to hydrogen and oxygen, zinc hydroxide is created, which is the root of white rust formation. This is in contrast to iron oxide, which is what causes standard rust to form. The most common reason why zinc-coated materials are ever exposed to such conditions are during the process of galvanization, when newly-galvanized steel comes into contact with water, or hydrogen dioxide. 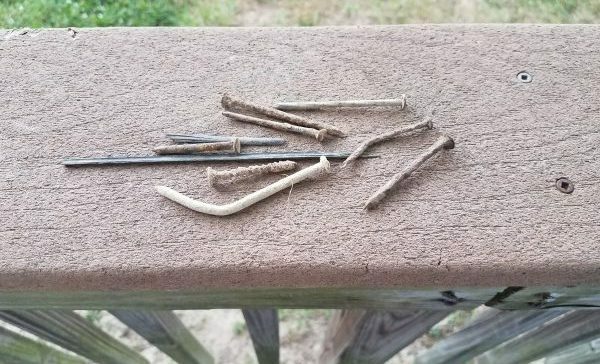 White rust forms when this happens because the new zinc coating has not yet had time to develop stable oxides, so instead, the hydrogen and oxygen bond with the zinc, which then forms zinc hydroxide. Condensation that develops as a result of storing galvanized steel is another common cause of white rust formation. Will White Rust Have Negative Effects on Metal? Not only is the appearance of white rust unappealing, the effects are destructive to the coating, making the galvanization useless. White rust can render the base metal more vulnerable to discoloration, corrosion, reduced strength, and more. How Do You Get Rid of White Rust? Although one cannot necessarily reverse the effects or formation of white rust, it can be prevented. When you have galvanized steel, be sure to store it in a cool, dry area to avoid condensation. Furthermore, avoid exposure to water or any hydrogen-rich environments, and try to use passivating chemicals or oils for added protection. It helps to allow the zinc oxides to stabilize by allowing your steel to age in a low humidity environment for a while. What Should I Do With White Rusted Steel? Call Garden City Iron & Metal at 1-888-586-5322 recycle scrap metal in Indianapolis, Indiana. We buy and recycle any and all scrap metal and metal-containing commodities, regardless of condition. Whether it is covered in rust or not, we will accept anything with metal, including appliances, vehicles, auto parts, farm equipment, construction equipment and materials, boats, watercrafts, scooters, motorcycles, RVs, and more! Request a free estimate, today. This entry was posted in Scrap Metal Recycling and tagged Recycle Scrap Metal Indianapolis, Recycle Steel Indianapolis, White Rust definition, White Rust facts, White Rust on steel. Bookmark the permalink.